The iPad is a lot heavier than it looks, isn’t it? Holding it with one hand can be unwieldy and make your hand tired, but holding it with two hands makes it hard to use. Well we discovered a nifty little device that can help. 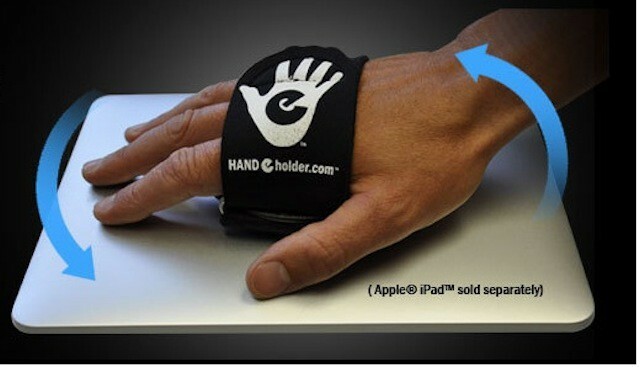 It’s called the HandeHolder and it allows you to strap your iPad to your hand, making it much easier to hold and use. We got some hands-on time with it, here’s how it works.